We needed more shelves! We found a bit more wall space… We purchased a bunch of used shelving material from a liquor store a while ago. The material has been put to good use! 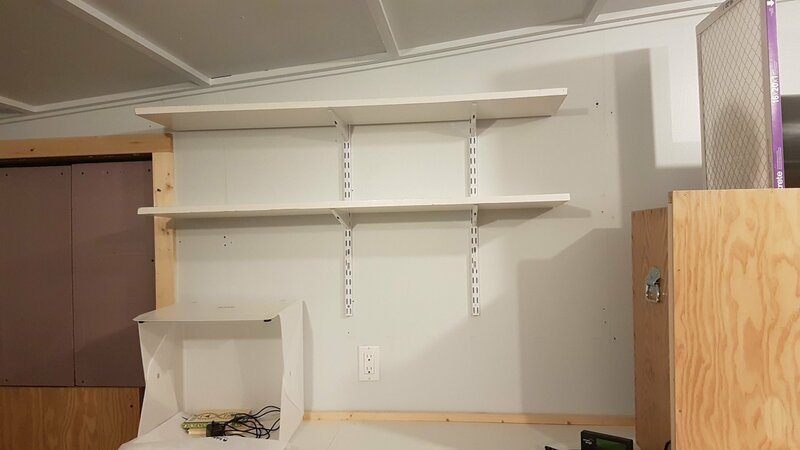 Shelves have been installed all over the farm.